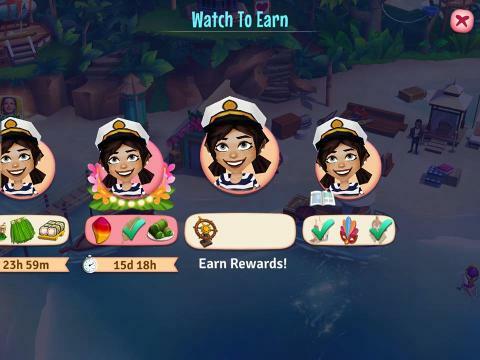 What is new with the Watch and Win feature? 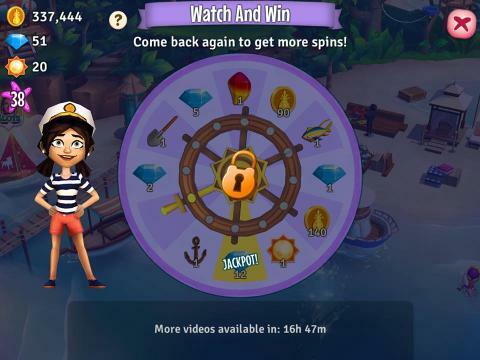 With the new Watch and Win, you can get a chance to hit the Jackpot Prize, watch another video, and improve your rewards just by filling the Video Meter! 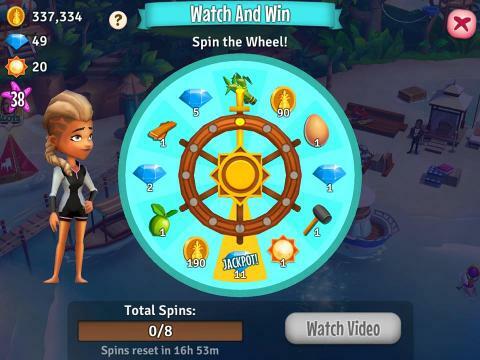 Instead of a Telescope, the Watch and Win feature has been replaced by a Prize Wheel. 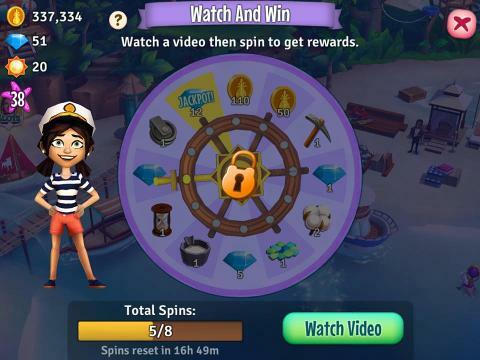 You get to spin the Prize Wheel each time you watch a video. 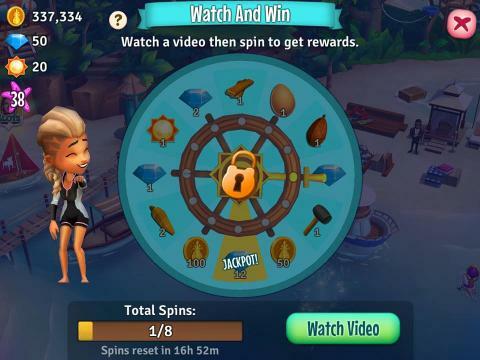 You can spin up to a total of 8 spins daily. Jackpot Prizes are included on each Prize Wheel. You can win gems, rare storage parts, money bags, and sand dollars as jackpot. Note: Items on the Prize Wheel change after every spin. 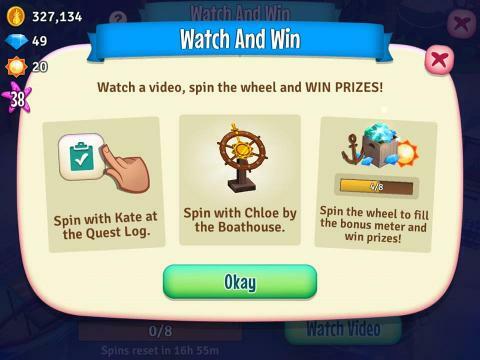 Watch and spin with Chloe by the Boathouse. You can watch up to 4 Videos with either Chloe or Kate. Once done, you'll be prompted to visit the other Video source to continue watching. The Spin Meter gets filled each time you watch a video. After viewing 8 videos, a small Gem Prize will be unlocked for you. Collect this prize via the "tap to collect" screen. Note: The Meter Prize is available once a day and will show a cooldown timer once it has been collected.